“Richard Amend believes in the transporting pleasure of beauty. His paintings and drawings embody the sublime ‘essence’ of Nature, abstracted and amplified,” writes art critic Jo Lauria. His work is exciting and mysterious, his observations of nature and architecture are both highly personal and accessible. A native of Brooklyn, Richard earned his bachelor’s degree from The Cooper Union in NYC and a master’s from California Institute of the Arts. In addition to his painting career, he works in the film industry, scouting locations and doing set design. His paintings shimmer with brilliant color or draw you into inky darkness. Landscapes that are not quite mirror-images provide a sometimes dizzying perspective, giving the impression of a forest not so much captured as trying to escape. Not all is landscape. The Palace Theatre in downtown Los Angeles has inspired a series of paintings that reflect the artist’s continuing interest in a slightly skewed perspective. Glimpses of marquee signs and ghostly chandeliers are echoes of by-gone architecture. “I like to explore the building. It’s almost like there is a hidden narrative,” explains Richard. Richard exhibits and is collected in this country and abroad. He is the recipient of CLIO, AICP/MOMA, Mobius and International Film/TV Festival awards. Richard is a member of Ojai Studio Artists. 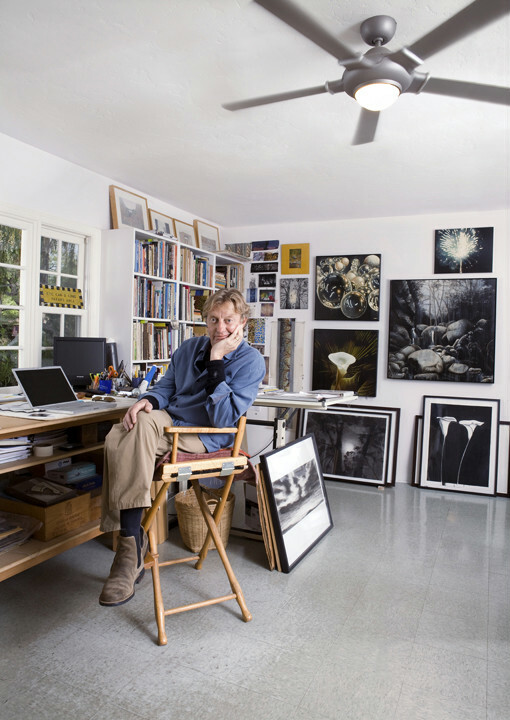 He and his wife, FOTM Master Artist Susan Stinsmuehlen-Amend, have resided in Ojai since 1994. Richard Amend’s documentation took place in 2010 and was sponsored by Paula Spellman. The FOTM Archive contains extensive information about this artist.